This morning Carol Vander Meer and I spoke with Monica Bueno. The newly installed coordinator of all the volunteer trail steward coordinators. 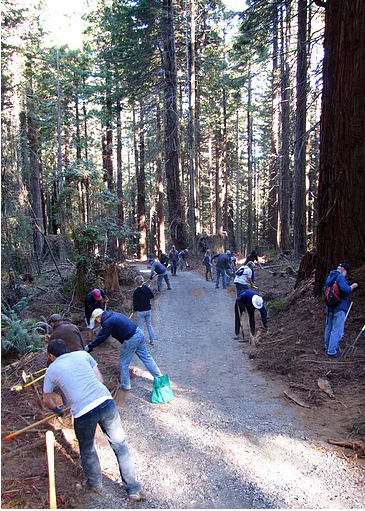 Lately there has been an explosion of trail development with the newly completed Eureka Waterfront Trail, the first half of the Bay Trail and new creation of the Great Redwood Trail Authority, a more coordinated effort was needed to head the efforts of the hundreds of volunteers.